Thanks, works great! I was able to do both the Fire7 and the Fire8 (separate orders) and the AmEx promo applied to both. 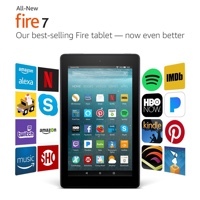 Overall, this is an amazing deal for those looking to purchase a tablet!!! And the best part is you are not restricted to just 1 per account!! Amazon just came to Australia in a big way, and I’m excited. Everything here is ridiculously expensive, and we could use some online competition to knock prices down to more reasonable levels.